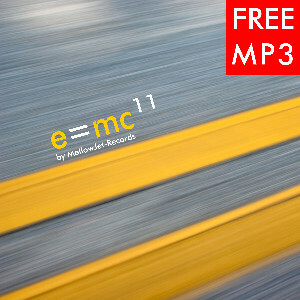 MaEasy - Topp Cosmos [cd-ma0801] - €12.99 : MellowJet-Records Webshop, ...where electronic music is alive! irgendwie und von irgendwem abgeholt werden“ (Zitat: Der grosse Gordoni 2001). MaEasy pretendedly leaves his spaceship rarely…but if you meet him or his music, mothership can’t be too far. 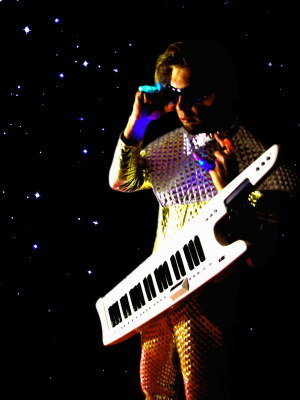 With his debut-album “Topp Cosmos” the space-keyboarder combines electronic soundscapes with grooving space-bombast, alternates from P-Funk-affected 70th/80th-Sci-Fi-Beat to cineastic sound-adventures, enchanted by cosmic harmonies and freaky atmo-pop and sometimes invites to a meditative landing at never expected places. With MaEasy’s sound-adventures the star gate meanwhile opens only at second glance, but then everybody realises, that after all “we will be picked up sometime, somehow from somebody” (quote: Der grosse Gordoni 2001).